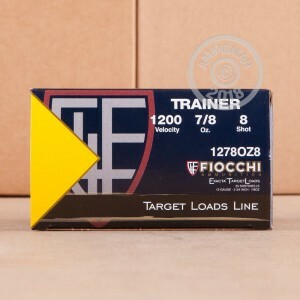 This 12 gauge ammunition from Fiocchi is the perfect load for shooters who spend long periods of time at the range or simply don't like the kick of full power shells. Each 2-3/4" shell in this box of 25 fires a 7/8 oz. load of #8 birdshot at a muzzle velocity of 1,200 feet per second. This combination of a light shot column and a moderate velocity powder charge helps keep recoil to a minimum. 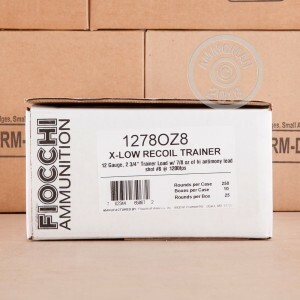 Fiocchi shotshell ammo sold in the US is loaded in Ozark, Missouri and delivers excellent shooting performance at a reasonable price. Take full advantage of this load's ergonomics by placing an order for $99 or more. 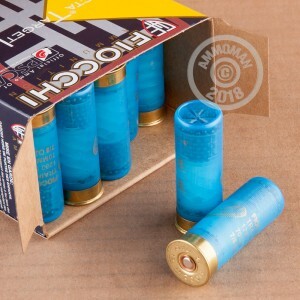 This instantly qualifies you for free shipping from AmmoMan.com!